Bruntsfield is renowned for its legendary multi-choice carvery lunches served daily in the upstairs Dining Room. 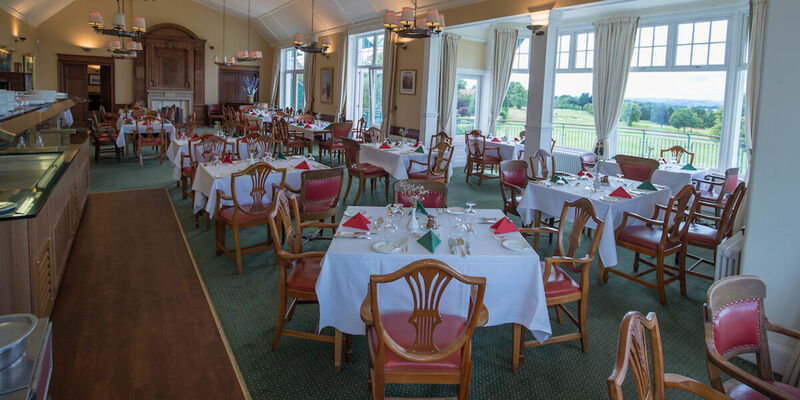 The Dining Room can comfortably sit 80 people and offers members and their guests panoramic views over the golf course, Firth of Forth and beyond to Fife and West Lothian. Head Chef Willie Fisher and the clubhouse team have focused on introducing fresh seasonal ingredients to ensure Bruntsfield diners enjoy a variety of menus. 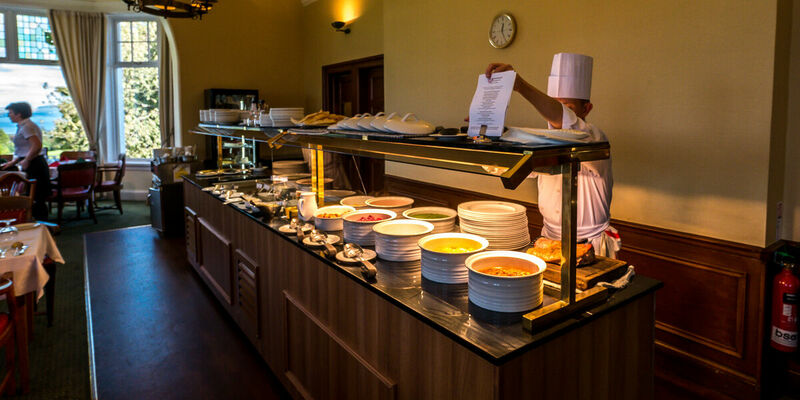 The mulit-choice carvery lunch is served daily in the Dining Room and Sandy Watson room between 12:30-2pm. View these links for our Sample Menu and Bruntsfield's 2019 visiting party price list.